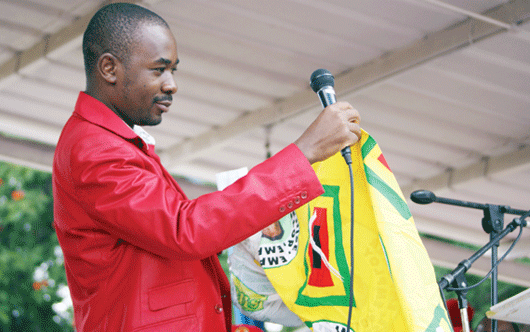 MDC-T president Mr Nelson Chamisa has come under fire for his hypocrisy after attacking politicians, who address church gatherings when he also doubles up as a pastor and has addressed such gatherings in the past. Mr Chamisa graduated as a pastor in 2016 from the Apostolic Faith Mission's Living Waters Theological Seminary. Political analysts, who talked to The Herald yesterday, also said Mr Chamisa had shown his naivety by failing to understand that Zimbabwe had a predominantly Christian population that any serious politician needed to reach out to. Mr Chamisa unleashed the attack, which many viewed as aimed at President Mnangagwa on his Easter message posted on his Twitter page over the weekend following the President's address to Zion Christian Church congregants on Saturday. Tanzania-based political analyst Mr Tafadzwa Mugwadi said it was hypocritical of Mr Chamisa, who himself graduated as a pastor just over a year and a half ago. "Here is a politician, who has been in politics for the past 20 years, but recently graduated as a pastor, bringing with himself the political baggage he has acquired over the years to the Church. "We just wonder what kind of a pastor he is given the violence he unleashed to ascend to the contested leadership of his party. "He is the one who has actually soiled the image of the Church with his propensity for violence despite being a pastor," he said. "The MDC-T has in the past been part of these so-called prayer meetings led by regime change agents hiding under the veil of the Church, which is why his statement smacks of hypocrisy of the highest order." The MDC-T is part of Church-led political advocacy groups like Save Zimbabwe Campaign, which is led by the Christian Alliance, and had in the past been accused of organising so-called prayer meetings to hide their regime change agenda. Only last year the MDC-T held a closed meeting with bishops from the World Council of Churches to discuss governance issues, a meeting which Mr Chamisa confirmed. "We had a meeting with different churches. The delegation was from the WCC," Mr Chamisa said then. Another analyst, Mr Tendai Toto, said Mr Chamisa had also interacted with church leaders in the past. "The late Morgan Tsvangirai consulted TB Joshua and many other so called prophets and men of God. "Mr Chamisa has also consulted and interacted with similar and many others of these religious and spiritual beings. What is exciting in the opposition camp if President Mnangagwa is seen and interacting with religious leaders? Nothing is!" he said. Political analyst Mr Goodwine Mureriwa also took a swipe at Mr Chamisa saying Zimbabwe was a Christian nation and there was nothing amiss in reaching out to them. "Mr Chamisa himself is pastor and should know better as a polia tician that Zimbabwe is predominantly a Christian nation and it would be naive of him not to reach out to the Church," he said. "President Mnangagwa is a God-fearing man, who has to market himself to all Zimbabweans, including those in the MDC, since he is a President for all. The voice of the people appointed him and the same voice will elect him. Mr Chamisa has a lot to learn. He should not be a crybaby, who thinks his panic, desperation and vulnerability will attract sympathy for him on the eve of a do-or-die plebiscite." Responding to Mr Chamisa's post on Facebook, Harare Residents Trust director Mr Precious Shumba said there was nothing amiss in politicians addressing Christians. "Honourable Nelson Chamisa is a pastor in the AFM, suppose he is invited to another church, do you think he would avoid talking about voter registration, the rights to vote and the strategy his party is taking to bring change to Zimbabwe? "The church was at the forefront of urging its members to go and register to vote, and I am just wondering how you expect to reach out to the church if you do not go and address them," he said. "To me Zanu-PF, MDC Alliance and other churches like Transform Zimbabwe, you do not need to feel bad by delivering your messages to Christians. We also want to hear you tell us how you will honour God when you become the Government. Preach to all without discrimination."